The Japanese theater scene is characterized by the vibrant coexistence of diverse forms of theater. Alongside well-known classical theater traditions, a stunningly modern scene exists, with an immeasurable number of small theaters. 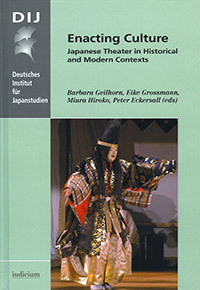 By focusing on the historical and contemporary contexts of how theater culture is enacted, this collection brings together essays on the spectrum of theater in Japan. Through literary and performance analyses and original case studies the collection explores complementary and interdisciplinary aspects of Japan’s performing arts. In an important and unique contribution, this volume includes essays by Japanese and Western scholars written in a mix of English and Japanese. Abstracts of each contribution translated into the opposite language allow readers without knowledge of both languages access to the main ideas of the essays.